Following are the major annual events that take place in multiple locations across Cyprus every year. To find more events in Cyprus please use our Advanced Search facility or simply browse our website. In Limassol the Anthestiria events are usually held in the center of the tourist area of Yermasoyia. In Paphos the main venue is the coastal avenue as far as the old harbor of Kato Paphos, and in Larnaka the seafront promenade from where the visitor can watch the flower parade. Every year in the months of July and August ancient theaters in Cyprus host one of the greatest festivals of ancient Greek drama. The stories of family conflict and betrayal, of epic adventures and heroes, written by the prominent ancient tragedy and comedy playwrights such as Aeschylus, Sophocles, Euripides and Aristophanes, are re-created in modern times in the classic tradition of Greek drama. 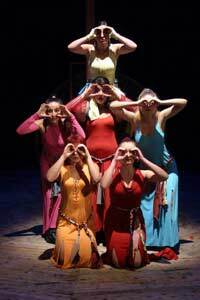 Ancient Greek Drama Festival lasts for about one month and welcomes several international theater companies that present one performance each. Performances of ancient tragedies and comedies are presented either in Ancient or Modern Greek but a short description of the plot is provided in English as well. Every year the festival attracts thousands of Cypriot and foreign audiences. Events take place at Kourion Ancient Theater in Limassol, Ancient Odeon in Paphos and Makarios III Amphitheater in Nicosia. The festival is organized by the Cyprus Tourism Organization and the Cyprus Theater Organization. Kataklysmos, or the Flood Festival, takes place in Cyprus every year in June, 50 days after Orthodox Easter. The event takes place on the day that is known also as the day of the Holy Spirit, because it commemorates the descent of the Holy Spirit to the Apostles. In Cyprus, however, the celebrations are connected also to the ancient ceremonies organized in honor of Aphrodite and Adonis. Water is the main focus of the festival. All coastal cities organize concerts, games and other events near the waterfront. Be ready to get wet at Kataklysmos! Larnaka organizes the biggest Festival of Flood in Cyprus and celebrates Kataklysmos for several days. On the sea front promenade you will find open-air fair with plenty of kiosks selling toys and traditional food. Popular Greek and Cypriot singers and dance troupes perform in Larnaka. There are competitions in the water as well as a contest for chatista, or rhyming songs in the Cypriot dialect. In Limassol the events of Kataklysmos take place along the seaside molos promenade over a three-day period. You will find plenty of kiosks, entertainment and competitions at the sea. In Agia Napa the Flood Festival also lasts for three days. The program of the event includes traditional dances, poetry and singing, water sport shows, competitions as well as concerts by well-known performers. The festival takes place at the harbor. 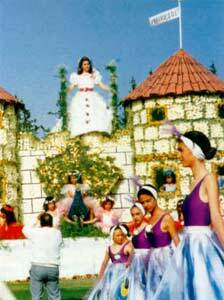 In Paphos Kataklysmos is celebrated outside the castle at the harbor. The program includes concerts, dance groups performances and water sport competitions. 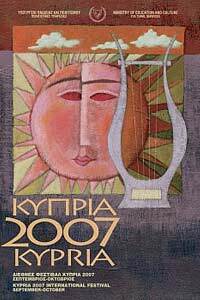 The Annual International Festival of Arts “Kypria” is one of the most significant cultural events in Cyprus. It was established in 1991 by the Ministry of Education and Culture. Since then Kypria brings to Cyprus musical collectives, theatrical and ballet troupes, artists, film directors and actors from Cyprus and many countries of the world. Some of the former participants include the Oxford Symphonic orchestra (Great Britain), the oldest English ballet troupe Rambert Dance Company, the Symphonic orchestra of national radio of Romania, the Orchestra of the High Musical School of Bonn (Germany), National Opera Theater of Greece, Compania Andaluzia Flamenko (Spain) and the Moscow State Musical Theatre “Helikon Opera”. The main aims of the event are to make Cyprus a cultural center in the eastern Mediterranean, to present Cypriots with a variety of high caliber performances by internationally acclaimed companies and to attract foreign visitors interested in cultural events. The festival takes place in September and October in several locations across Cyprus. 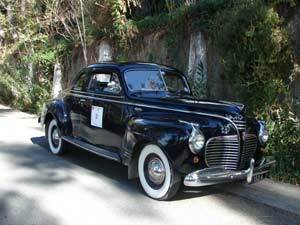 International Historic Car Rally gives you a chance to see historic cars competing once in the streets of Cyprus. The event has been taking place in Cyprus for about two decades and always attracts plenty of spectators of all ages, locals and foreigners. The old cars compete on the streets of Larnaka, Limassol, Paphos and Nicosia. The participants are cars manufactured before 1982. The oldest car which took part in the Historic Rally is a Ford model A made in 1931. Historic Car Rally is a part of FIA Historic Rally Championship and is organized by the Cyprus Automobile Association (CAA) and is sponsored by the Cyprus Tourism Organization. Participants include drivers from all over the world and, of course, Cyprus.